If you are a catcher in a baseball team or you want the best youth catchers mitt for your kid, then you need some catchers mitts that won’t let you down and improve your game. Having the best equipment behind the plate is very important and top-quality catcher’s mitts will help you when fielding baseballs out of the dirt and stop your hand stinging after catching a hard pitch. Here we present the top 10 best adult and youth catchers mitts, as well as important information on how to choose the best ones for you and/ or your child. Wilson products can be seen at numerous recreational or professional baseball games and this because they are so good and professionally designed. 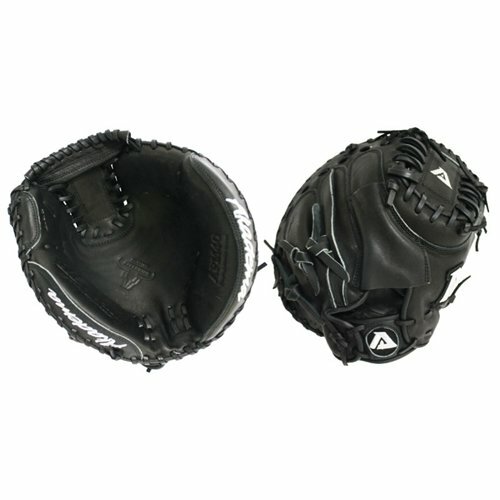 This mitt has exceptional features such as a deep pocket and thinner outside padding to help you scoop the baseball up. The palm is also slightly extended so that the glove can flex easier. The mitt is made from higher quality leather, being soft but at the same time durable. 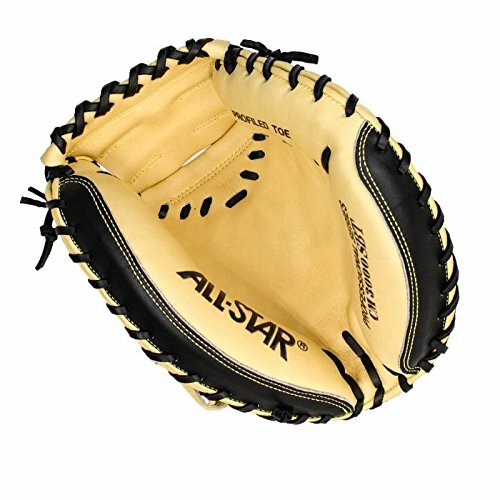 This Allstar’s catcher’s mitt perfectly blends together quality and affordability. It has a nice pocket to help you pick up baseballs out of the ground and featured padding in key parts that need extra protection. The mitt has leather lacing which makes it an easier fit for the hand of the player. It also features hard black leather on the back to stiffen it up a bit and provide support. This is another best catchers mitt for kids or for those who are beginners and are still wondering if they should spend a lot of money in a professional catcher’s mitt. The mitt has a unique design with the edge padding being thinner to better keep baseballs in it and also it speeds up glove-to-hand transfer of the ball. The glove can also quickly close when hit by a baseball, thanks to the proprietary “Double Flexhinge” technology. Mizuno is among the favorite brands when we talk about baseball catcher’s mitts. This adult and best kids catchers mitt is perfect for those who are just learning how to become a catcher. The mitt has a great price and provides a high protection level as shown by the thumb guard, that is patent-pending. You could see a variety of lacing positions throughout the glove, which help you adjust and it is easy. This budget-friendly mitt offers top quality. 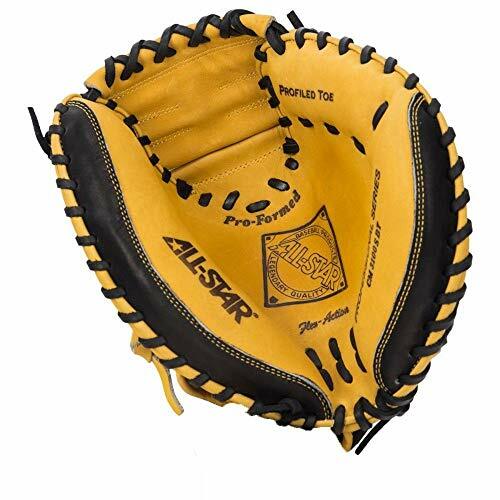 It is a youth catchers mitt, but also works for recreational baseball players. The mitt has been pre-treated with oil to make the hard leather construction soften quicker and rawhide laces help prevent the mitt from breaking. The glove has wrist guard that is padded well and a Velcro wrist strap for quick and easy fit adjustments. 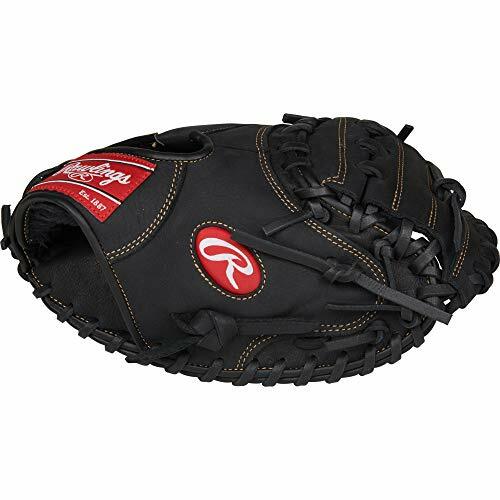 This a very good catcher’s mitt model created by Rawlings, the renowned baseball product company. It is a longstanding model that will assist you to play your position well in the field. Among the great things to be mentioned about this mitt is the superior lacing which makes it easy to adjust and to fit any teen player’s hand. Also, the mitt was designed to require little break-in time. Do you want to know ‘What is the best catchers mitt for high school?’. This model is a great option for entry level catchers. The price is affordable for anyone can try and see if they are fit to become catchers. The size can be adjusted, so the mitt can also fit larger hands. Like any other Mizuno mitt, this one also has some pretty amazing and innovative features. 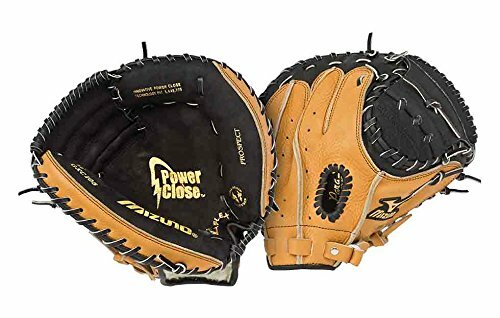 The soft leather helps the glove break in in a very short time and it also closes quickly when you have to catch a baseball. Also, it manages to absorb the shock nicely. Still wondering ‘What is the best youth catchers mitt?’. Well, you can put this model on the list too. It is a very good choice for youth catchers. This mitt has some original features and solid construction. One of the things that set it apart from the others is that it can absorb the shock from a baseball very well, being perfect for the small hands of a youth player. This model also has the Akadema’s patented “Finger Hammocks” design and the width padding is reduced to help the catcher pick up the ball from the dirt much easier and faster. 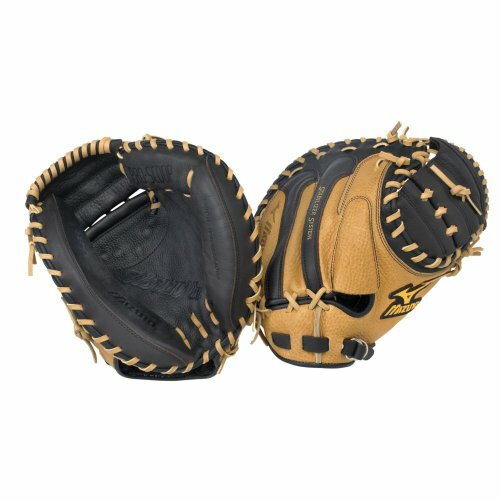 If you want the best kids catchers mitt for your kid, take a look at this model. 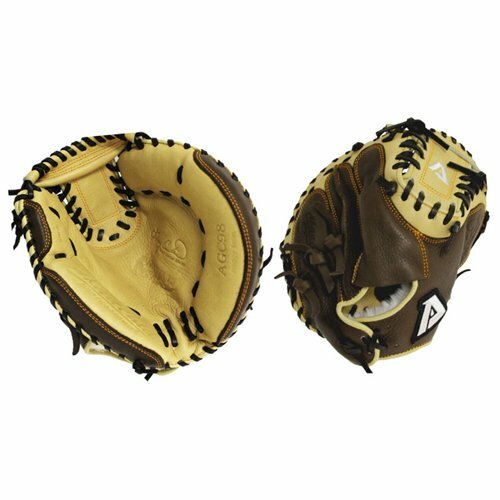 This mitt is affordable and an excellent choice for players between 9 and 16 years old. 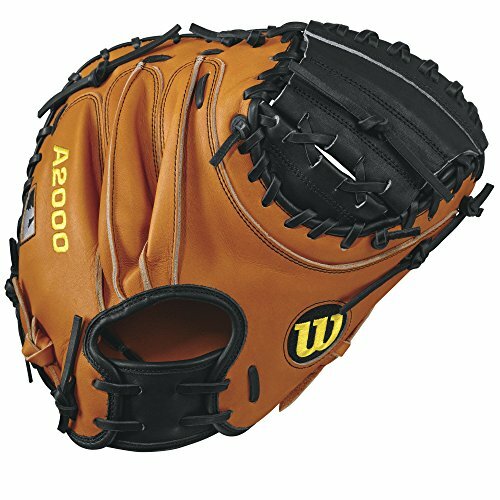 The mitt includes the Mizuno’s top-notch palm pad which makes it extra durable and also attenuates the force of the ball hitting the glove. This also a highly adjustable mitt so young players can find a great fit. This is the perfect catcher’s mitt if you want your kid to see how it’s like playing the catcher’s position in the teenage youth league. Although it has a low price point, it is a better mitt than expected. 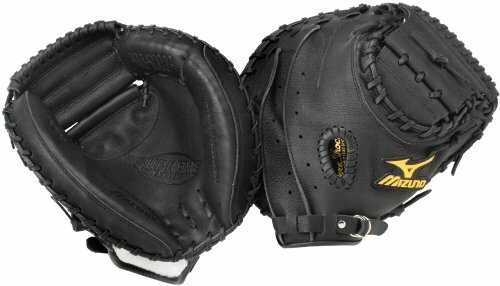 Mizuno says that this is mitt to adjust for those who are at the beginning of their game. How do you size a youth baseball glove? This mitt is adjustable so it can fit the hand of any youth and besides that its padding is light making it easier to control. There are numerous factors to think about before purchasing a catcher’s mitt. You have to think about size, webbing, padding, adjustability, pocket and the material. But let’s take them one by one. Like any other sports gear, the size is also important for a catcher’s mitt. A properly sized glove will fit perfectly and it will give you better control of the mitt. Somethings to remember is that they are not sized as a normal fielder’s glove. It is sized by the circumference and not by the size from the bottom to top. Finding the perfect size is very important to how good you would control the catcher’s mitt. Any catcher’s mitt comes with either webbing that is closed or open. Most of the mitts come with closed webbing which has better durability than the open one. There are also some mitts with mostly closed webbing but which have some points in iorder to see see through the webbing if you want to. A glove with good padding will protect your hand when catching the ball. The padding and a thickened pocket will minimize the sting feel and keep your hand protected while you are playing. The perfect catcher’s mitt should be a little adjustable to enable you to achieve a customized fit according to the player’s hands. You can do this by making the laces looser or tighter. When you buy a mitt pay attention to how many places with laces it has. 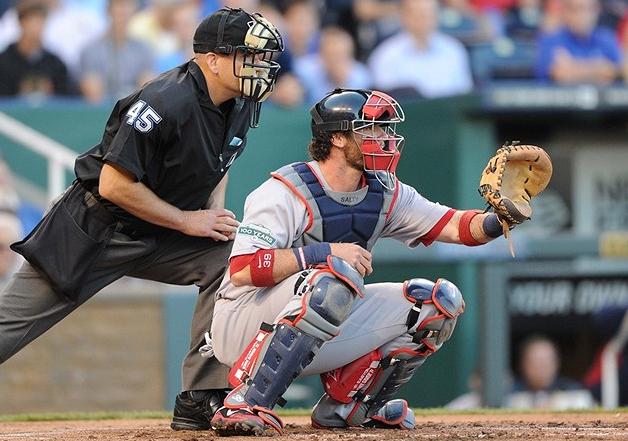 Each catcher’s mitt has a pocket and its size is crucial because as it helps when your fielding baseballs on the ground. The size of the pocket is in direct proportion to the circumference. This means that smaller mitts will have a small pocket. This does not apply to all mitts, as you might find mitts with the same size but slightly different pockets. Here are four main categories of materials used for a baseball mitt. Synthetic – usually used for the mitts of young players whose hands are still growing. The material is cheap and lightweight, but it does not resist for a long time. Mesh – used for catchers’ mitts made mostly of leather, but not on the backside which is made from synthetic mesh. These mitts are a little lighter over all-leather ones and more comfortable. On the downside, they don’t has as good durability as the leather ones. Soft leather – this is amazing because it helps a mitt be very comfortable and it requires almost no time to break-in. On the downside, the material is not as risistant as durable leather. Durable leather – this is a material used by many professional players. It offers most of the padding, durability and makes a pop sound as a baseball hits the mitt. On the downside is that it is very expensive and heavier than the other mitts. A mitt is exposed to all sorts of wears and tears throughout its life. Also, materials can come with defects and the manufacturing personnel can have a bad day too. A good mitt can make you shell out hundreds of dollars. So why replace it with money from your own pocket if it was not your fault for breaking it? When buying a catchers mitt, make sure it has a long and comprehensive warranty. Having the perfect catcher’s mitt to play baseball is very important to field that position correctly. There are so many mitts on the market that it can be a struggle to find the right one. But paying attention to all the things enumerated above will help you a lot. Also, any of the top 10 mitts in this article, will make an excellent choice for you or your kid.